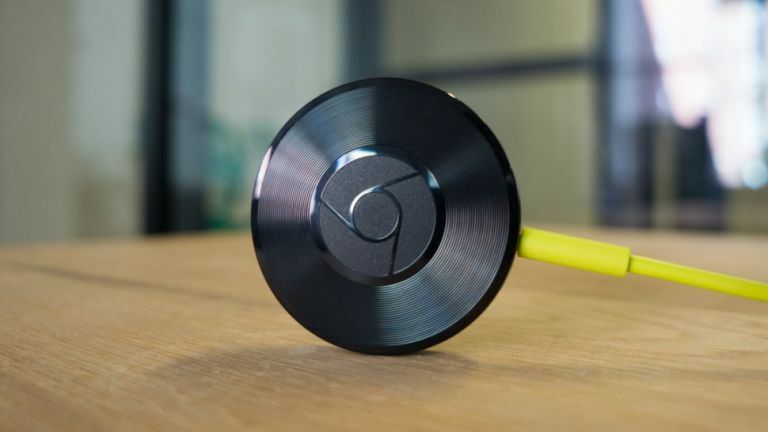 If you're a fan of the Chromecast Audio dongle, we've got some bad news. Google has decided to ditch the music streaming accessory which enabled you to breath new life into ageing speaker systems. The small hockey puck-shaped device connected to your sound system via a 3.5mm audio port and enabled the speaker to be controlled from the Google Home smartphone app on iOS and Android, as well as using voice commands to any Google Assistant-powered hardware. Like your swanky Sonos kit, speakers kitted out with a Chromecast Audio can be grouped together to play the same track at the same volume. Of course, each speaker can also be adjusted and used independently. With Chromecast functionality increasingly being built directly into speaker systems, Google has decided to quietly stop manufacturing the Chromecast Audio. Eagle-eyed Reddit users first noticed that the accessory had been discontinued. Google later confirmed the decision in a statement to Android Police. A spokesperson for the company explained: "Our product portfolio continues to evolve, and now we have a variety of products for users to enjoy audio... We will continue to offer assistance for Chromecast Audio devices, so users can continue to enjoy their music, podcasts and more." So, if you can still find one the nifty audio accessories, Google will continue to help you with any support issues. But don't expect to be able to buy one of the gadgets from the Google Store anytime soon. Thankfully, there still a few retailers that have a full inventory of stock. Find the latest prices for the last remaining Chromecast Audios below.